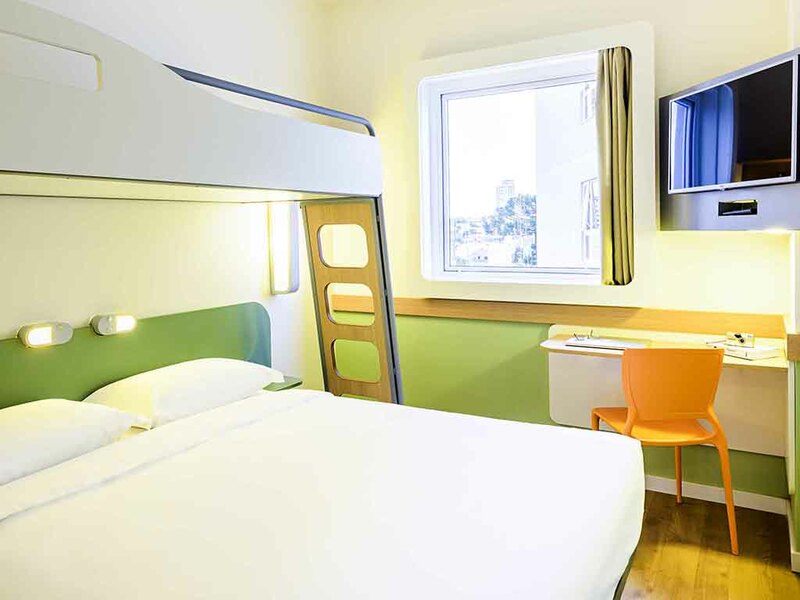 The ibis budget Curitiba Aeroporto is an economy hotel near Afonso Pena International Airport. With easy access to Av. das Torres, the BR-376 and BR-277 highways, companies such as the Aethra Group, Volkswagen, Renault, O Boticário, Nutrimental and Faurec ia and the industrial district. It has modern rooms for up to 3 people with air conditioning, 32" flat-screen TV, WIFI, buffet breakfast, express check-out and a 24-hour convenience store. The hotel is strictly non-smoking and accepts dogs up to 33 lbs.